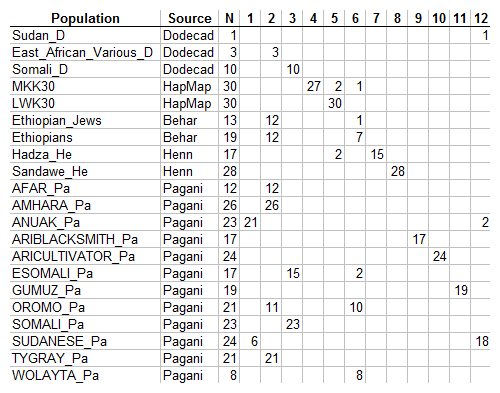 I have included the new data from Pagani et al. (2012) together with various other East African datasets available to me, including various East African Dodecad Project participants. 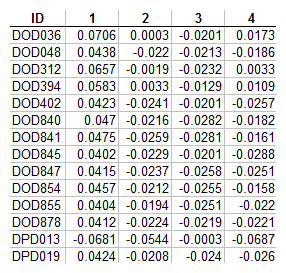 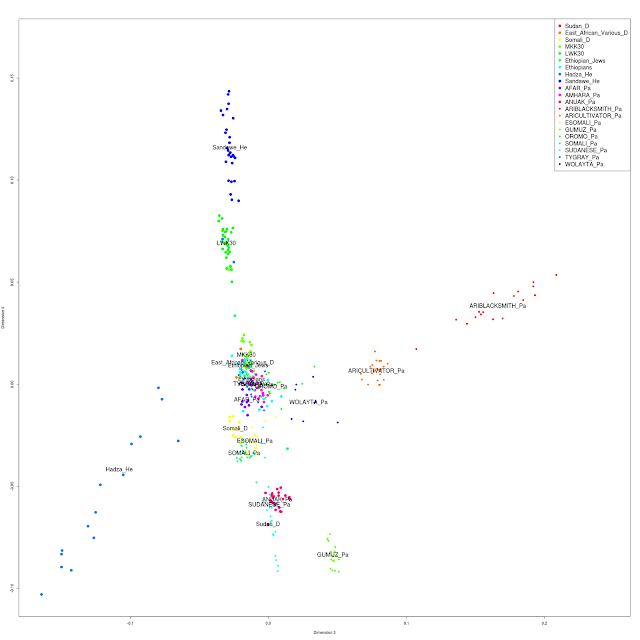 All Project participants fall in the expected clusters, so there is no need to report any individual clustering results. 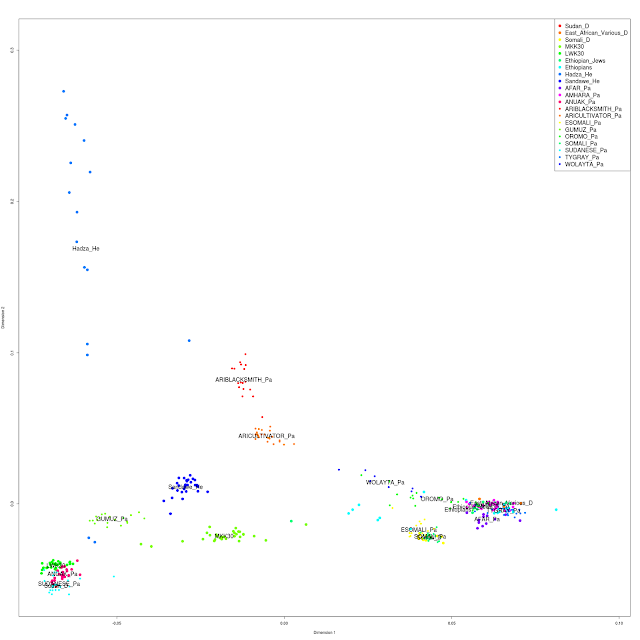 It would be interesting to see where do East Africans cluster when compared to the Khoisan and West Africans. 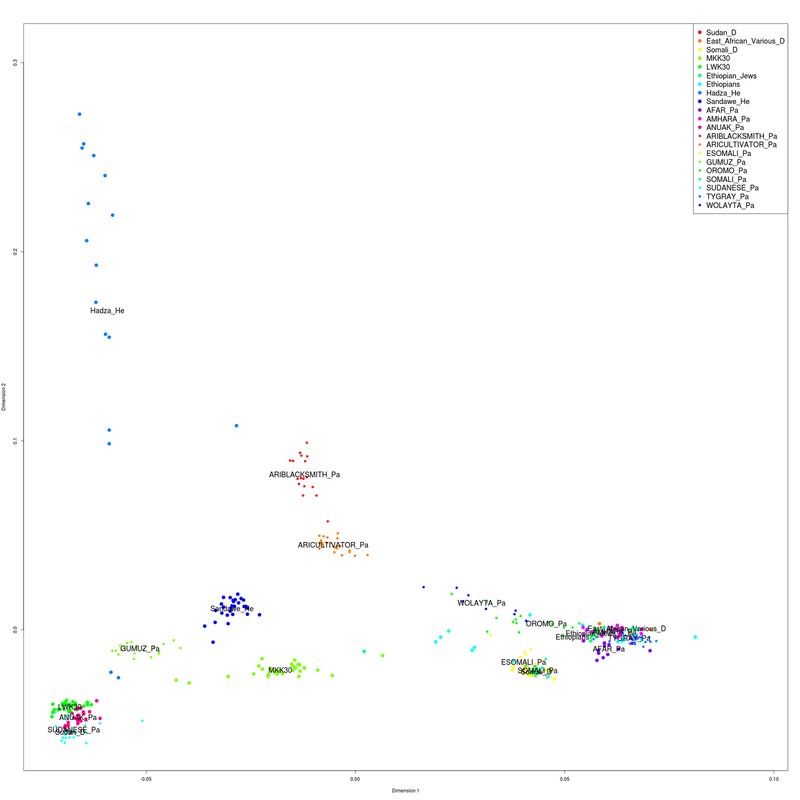 They cluster with neither, but generally somewhere intermediate between them and Eurasians.